Product prices and availability are accurate as of 2019-03-29 05:20:49 EDT and are subject to change. Any price and availability information displayed on http://www.amazon.com/ at the time of purchase will apply to the purchase of this product. We all know your baby's comfort is important, why not give your baby the best diaper changing experience? Buy our baby changing pad liners today! - Who has time to hand wash and line dry? We made these liners thinking of you. Instead of hand washing and line drying these, just throw them in the washer and dryer! 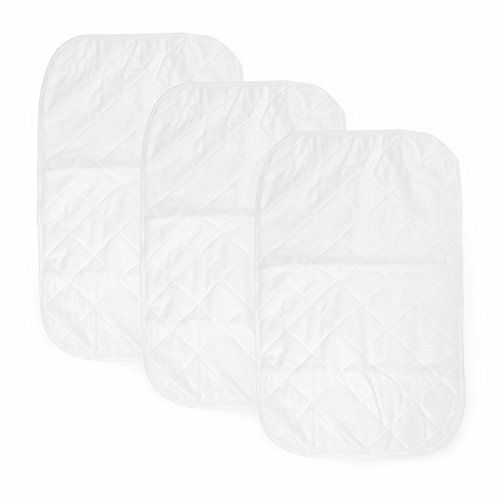 - Super absorbent, soft, quilted design with padding. - We decided to make our bamboo changing pad liners extra long and wide (27.5" x 15.7"). Because of the size, these should be the last liner you'll buy, as it is made with your baby's growth in mind. - Made from eco-friendly, soft, smooth bamboo fiber which is naturally hypoallergenic, antibacterial and antimicrobial. - Have one on the changing pad, one in the diaper bag and the other in the wash. We want to make sure you and your baby are always prepared for a diaper change. 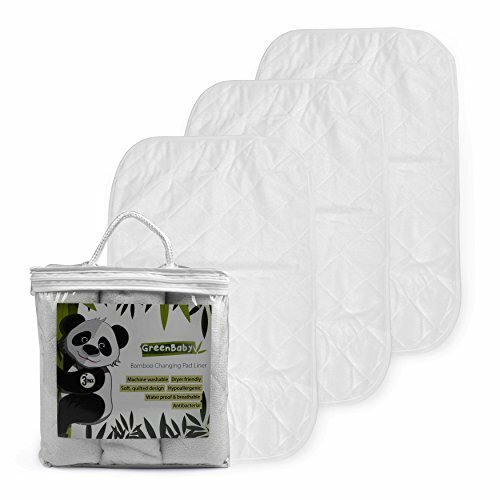 -We are so confident that you will be happy with our bamboo fiber changing pads that we offer a 100% MONEY BACK GUARANTEE! 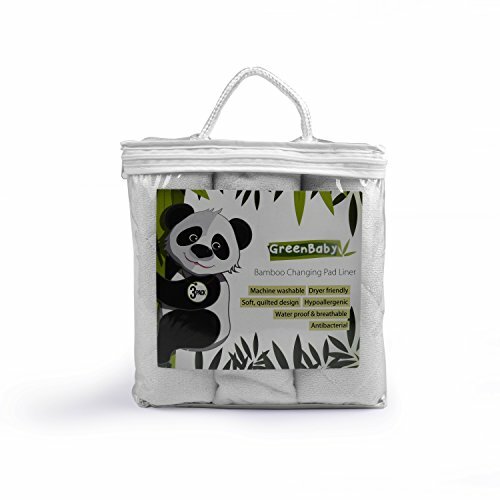 GIVE BABY THE ULTIMATE COMFORT - Our baby changing pad liners are made from eco-friendly bamboo fiber. This special fiber is easier on your baby's skin. Now diaper changing is more comfortable for baby! SUPER ABSORBING HIGH QUALITY 3 LAYER CUSHIONED PAD - Top layer: 70% bamboo fiber & 30% polyester; middle layer: polyester cotton; bottom layer: breathable waterproof backing made from NON-TOXIC TPU and lastly VINYL FREE! PARENTS KNOW BEST - Size matters.. Our pads are larger than most others out there (27.5" x 15.7"), meaning your baby is less likely to out grow them. ANTIBACTERIAL & HYPOALLERGENIC - Bamboo fiber is naturally hypoallergenic, mold resistant and has anti-bacterial properties. These properties help keep your baby's skin irritation free and safe. MACHINE WASHABLE & DRYER-FRIENDLY - These changing pad liners can be washed and dried over and over. Who wants to keep buying disposable liners? And, helping the environment is always a plus.